Contemporary Automotive has been a successful car dealership for more than 30 years and continues to serves customers all throughout New Hampshire! From our humble beginnings, we started off on a vacant lot, operating in a trailer with only three employees. From there, we grew into a fantastic dealership with a great selection of new inventory near Manchester. We proudly bring you the best vehicles offered by Chrysler, Dodge, Jeep, RAM, and FIAT. As a family-owned business, we pride ourselves on our customer and employee satisfaction. It’s important we help our shoppers receive the perfect vehicle for their lifestyle at a great price. We take pride in our community and look forward to helping our neighbors when we can. From our educated sales staff to our expert finance team, we have people ready to assist you in your new car experience in order for it to be stress-free. Not only can we get you the ride you have always wanted, we also ensure it will be on healthy on the road. Our Dodge service center near Nashua will take care of your car, no matter how big or small the issue is. Our certified technicians have years of experience working on these vehicles and are ready to tackle any issue you have. Moreover, they will give you updates on the condition of your car. While you are welcome to stay in our comfortable lounge and help yourself to our complimentary coffee bar, we also provide rental cars, shuttle service, and drop-off service. Our staff is dedicated to getting you the best service and the greatest vehicle on the market.  Contemporary Automotive also has convenient hours and location. Please contact us or call (844) 855-8373 for any questions!